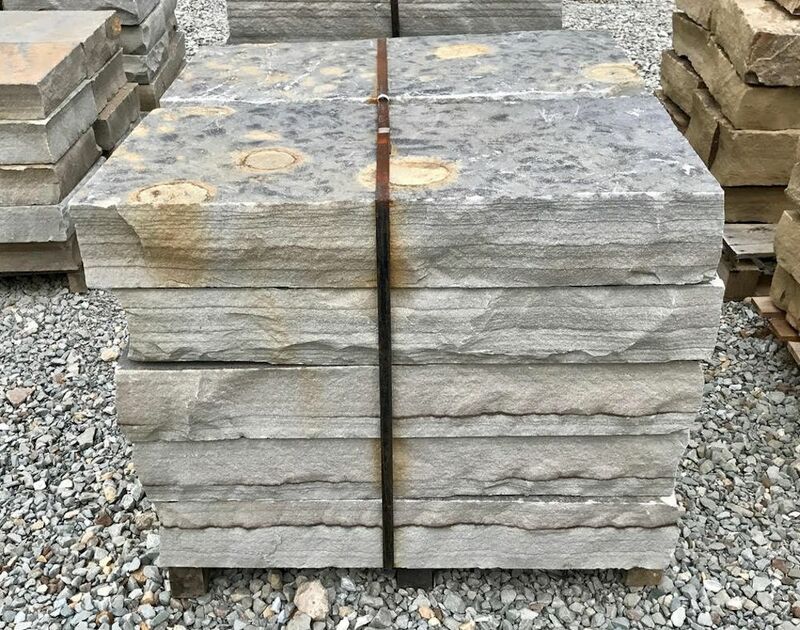 Green Stone is your central Indiana source for natural stone and landscape products including Natural Stone Snapped Steps. 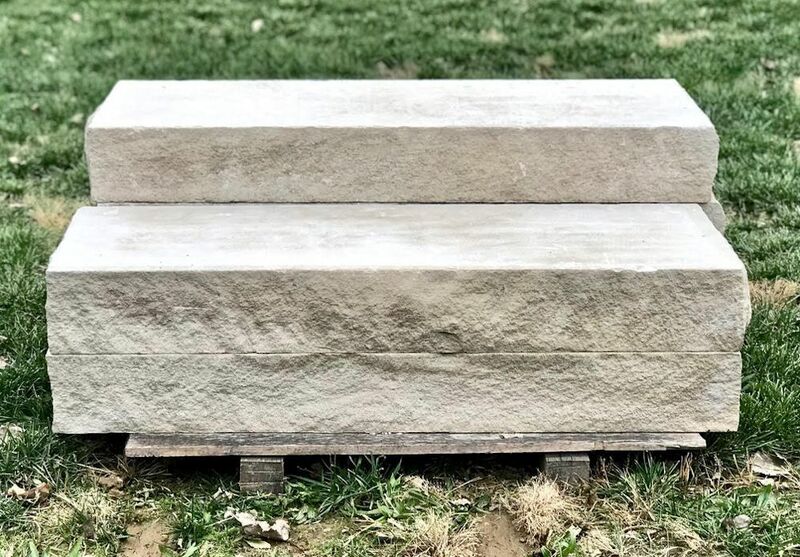 Light gray to olive colored Limestone natural slab steps with highly textured beds. They are snapped front and back with natural sides. Thickness ranges from 5-7” with 18-24” depths and up to 5’ lengths. 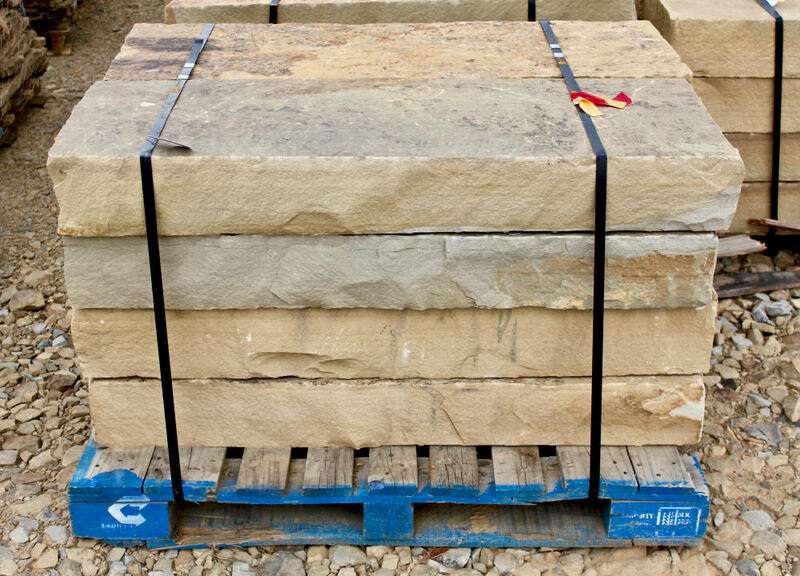 Earth toned sandstone with buff tans and dark black and brown hues that give this stone a great deal of depth and character. Snapped front, back and sides with natural beds. Thickness ranges from 5-7″ x 18″ deep and are available in 36″ or 48″ lengths. Balanced light to medium gray color with blue overtones and a textured but smooth surface. Snapped front, back and sides with natural beds. Thickness ranges from 5-7″ x 18″ deep and are available in 36″ or 48″ lengths. Earth-tone sandstone with a vast array of colors ranging from rust to dark brown and tan with variegated copper swirls. Snapped front, back and sides with natural beds. Thickness ranges from 5-7″ x 18″ deep and are available in 36′ or 48″ lengths. 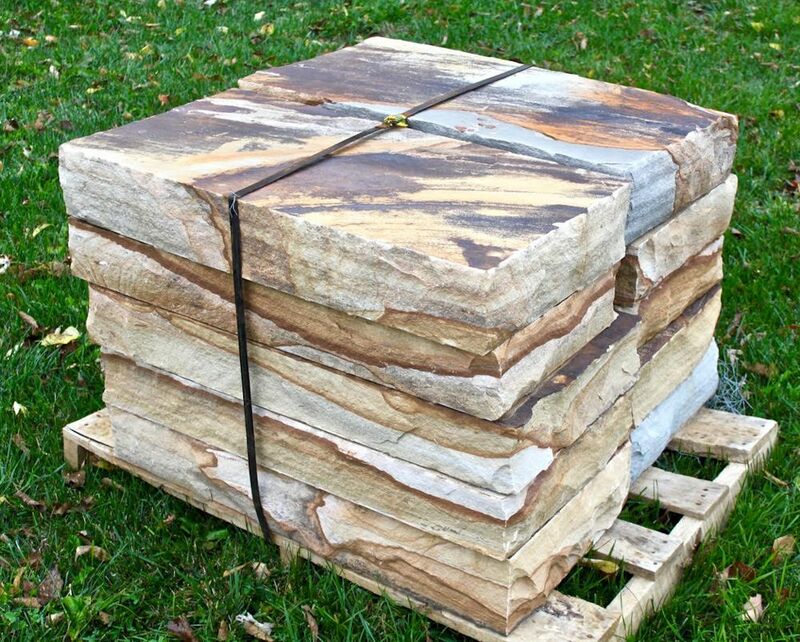 Snapped Limestone steps with cream, gray and buff colors. Sawn top and bottom, snapped on 4 sides. Standard thickness of 6″ x 16″ depth. In-stock lengths of 36″, 48″ and 60″. Special order sizes available upon request. 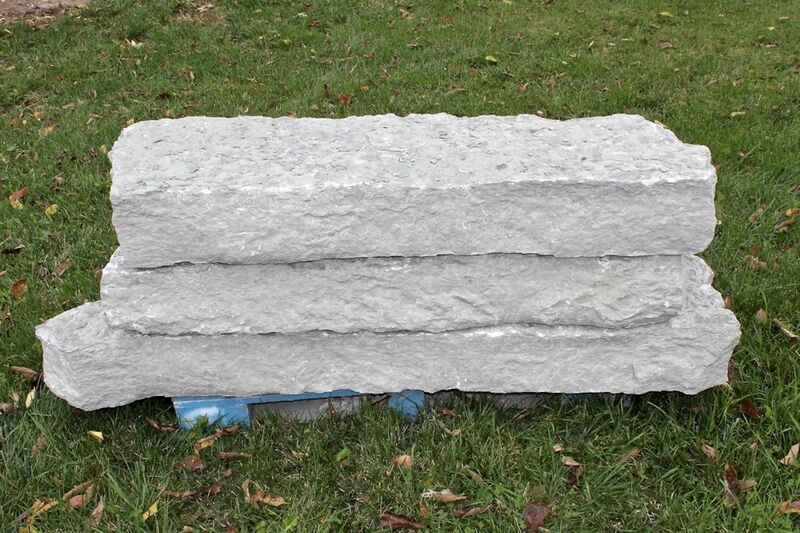 A beautiful gray to dark blue sandstone with a flat surface; will give an earthy feel to your landscape. 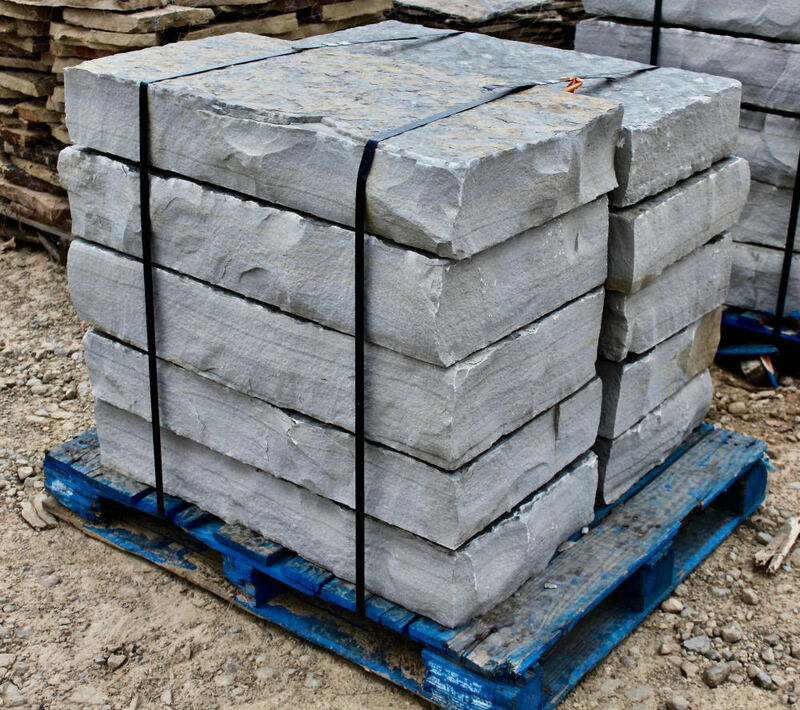 Thickness ranges from 5-7” x 18” deep and are available in 36″ or 48″ lengths.